Fundraisers are a terrific way to attract and forge ties with new donors, build existing donor relationships, raise general awareness and develop a wider range of public support. 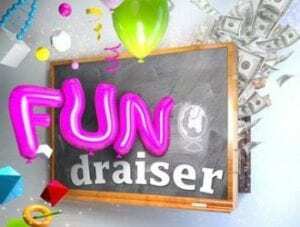 Successful fundraising events require planning, financial support and hard work by a dedicated team of people, so it’s important to have the right venue, the right atmosphere, and the right attractions in order to provide donors with an unforgettable experience that ultimately results in increased donations now and in the future. At Skyline Cruises, we not only have the perfect venue – the Skyline Princess, our premier NYC luxury yacht – but we also have a seasoned staff of event planners that can help you put together a fantastic fundraiser aboard an NYC yacht charter cruise. Your planner will be with you every step of the way to ensure all of the details are just right, from the scrumptious food and drinks to the beautiful New York Harbor setting and the stunning Manhattan skyline that cruising aboard our NYC party boat offers. The Skyline Princess can easily host groups of all sizes because it’s United States Coast Guard-certified for up to 450 passengers. Our private yacht charter cruises offer the opportunity for you to not only raise substantial funds but also to increase community recognition for your organization through public relations, outreach, and advertising. Casino Night: Printing up play money with your logo on it for guests to try their luck at some popular casino games, such as poker, blackjack, roulette, and craps, is an excellent draw for a fundraiser aboard a charter cruise. Your guests can cash in the play money they amass at the end of the night, and you can award donated prizes to the top casino winners. Costume Party: A ticketed costume party with a Halloween, Great Gatsby or Broadway theme with decorations and a $500 prize for best costume is another great idea that’ll surely garner attention, attendance, and donations. Comedy Night: Gather past and potential donors together for a night of laughs and jokes told by some local comedians while cruising New York Harbor. Other tried-and-true ideas include who-done-it murder parties, treasure hunts, and silent auctions. Whatever theme you choose, don’t be afraid to make it fun and have a good time with it so that your guests can, too. Whether you’re planning a church, school, charity, corporate, political or public broadcasting fundraiser, contact Skyline today. Our experienced staff can answer all of your questions and work with you to make your next fundraising event an unforgettable one aboard the Skyline Princess.